WV Safe Schools Helpline – Direct Action Welfare Group Inc.
Is your child being harassed by a student or teacher? Is your friend planning on taking a gun to school? Is your child’s teacher under the influence of alcohol? 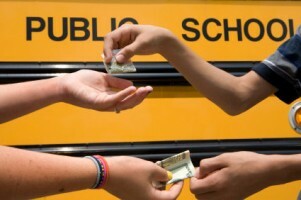 Do you know a student who is selling drugs at school? The Safe School Helpline is a 24 hour toll free number for reporting information that could have a negative impact on students, school staff, or school property. The number is answered by a real person and you do not have to give any identifying information if you do not want to. You can call anonymously to report issues such as violence, weapons, threats, drug and alcohol abuse, or sexual harassment. You can make reports on students as well as school faculty.